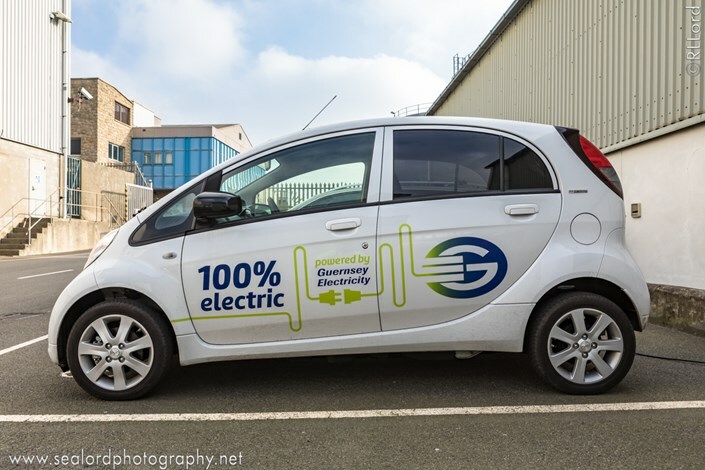 Guernsey Electricity’s new fleet of electric vehicles has been given a makeover with eye-catching new wraps designed by Hamilton Brooke. The utilities provider bought two Peugeot iOn electric cars and a Peugeot Partner electric van as part of a continuing investment in the company’s vehicle fleet, after successfully trialling various EVs in recent months. We worked with our client to create clean, bright graphics that will attract attention, convey the initiative’s green credentials, all while incorporating Guernsey Electricity’s existing branding.